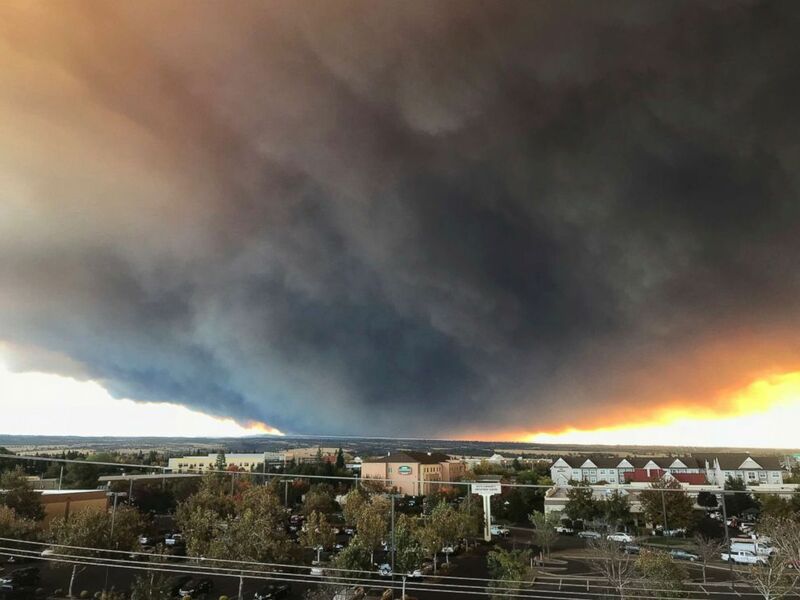 The massive plume from a fire is seen in the Sacramento Valley in California, Nov. 8, 2018. 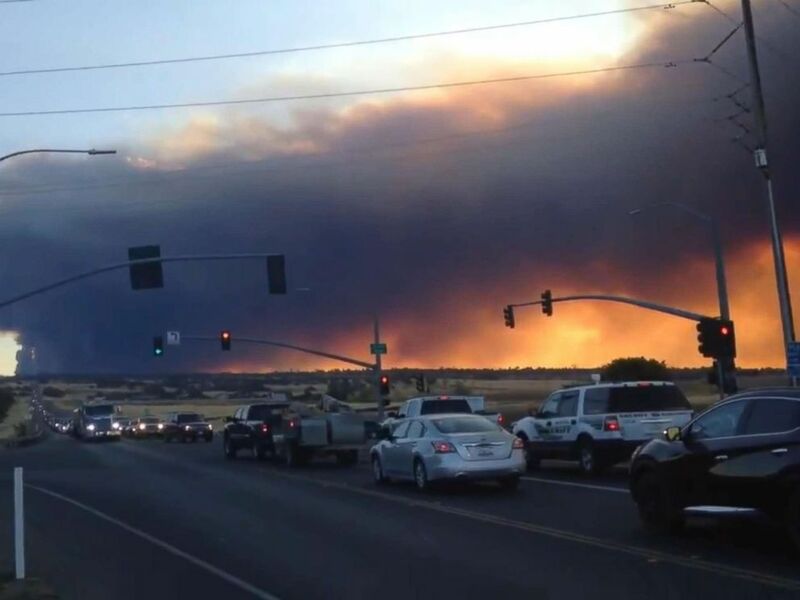 A wildfire broke out in Butte County, Calif., Nov. 8, 2018. The massive plume from the Camp Fire, burning in the Feather River Canyon near Paradise, Calif., wafts over the Sacramento Valley as seen from Chico, Calif., Nov. 8, 2018. Smoke from the Camp Fire, burning in the Feather River Canyon near Paradise, Calif., darkens the sky as seen from Highway 99 near Marysville, Calif., Nov. 8, 2018. In Southern California, near Thousand Oaks and Newbury Park, the Hill Fire also sparked mandatory evacuations after it scorched through up to 10,000 acres by Thursday afternoon, according to the Ventura County Fire Department. 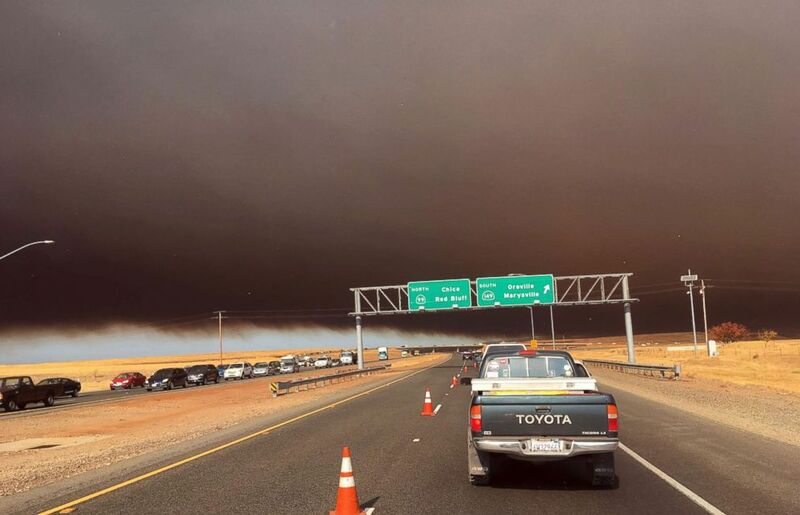 The wildfire also closed down US Highway 101 in both directions near Cam Springs. 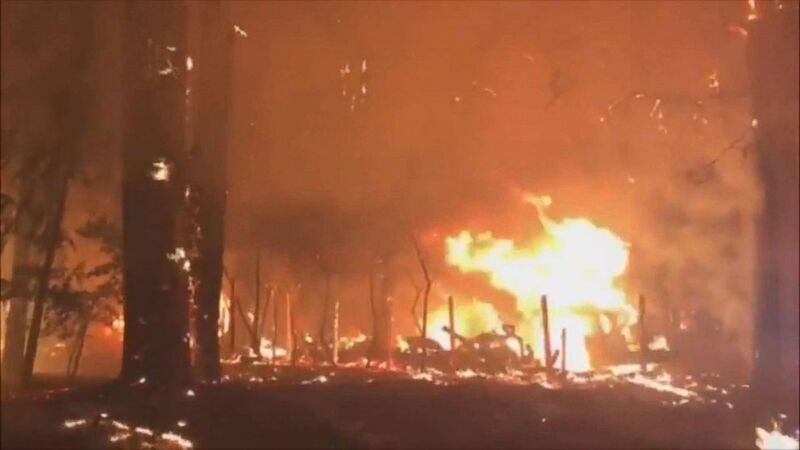 The Hill Fire started out as a 100-acre blaze Thursday afternoon but quickly ripped through 8,000 to 10,000 acres in just hours, according to officials.